Why Are Custom-made Reading Glasses Better Than Pre-fabricated Ones? Off the shelves/pre-fabricated reading glasses are much cheaper and convenient to get. So you might even consider getting multiple pairs – one to be left in the car, one in the living room and one in bedroom. However, one downside about this type of glasses is that they are “one-size-fits-all” items. Most people do not have same prescription for both eyes and the pre-fabricated ones do not address this issue. So what’s so good about custom-made reading glasses? 1. Reading power is made according to your individual eye’s prescription. A custom-made reading glasses will take into consideration of your habitual reading distance. Remember, reading glasses are supposed to blend into your lifestyle seamlessly, meaning you should feel comfortable using the reading glasses rather than changing your lifestyle to fit the glasses you buy. Astigmatism will be taken into account when making your reading glasses. In such cases where astigmatism is necessary, the reading glasses will have it. A custom-made one will have your pupil centre measured and made accordingly. Headaches and eyestrains can arise if the optical center deviates too far from the actual one. Lastly, sometimes vision blurs may happen due to factors such as glaucoma. Issues like this cannot be solved by simply increasing the power of the reading glasses instead it has to be addressed appropriately. So, how long has it been since your last eye-check? We hear a very long time, well maybe it’s about time. Did we also mention that you can have really cool frames to make reading glasses? 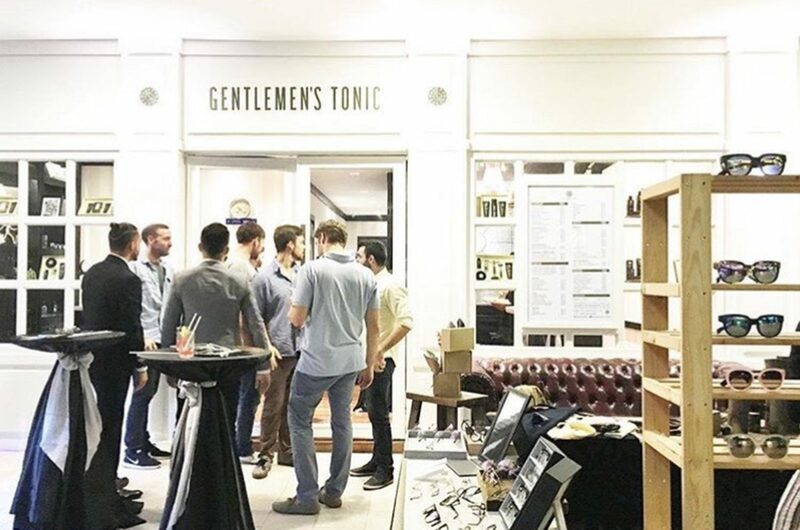 It was all about happiness at Gentlemen’s Tonic, Publika last Wednesday when Lifestyle Asia Kuala Lumpur teamed up with the cool salon to give invited guest a night to remember. Besides sipping on champagne and nibbling on canapés, the dapper looking men got to enjoy style lessons from a few brands. Amongst them was Pott Glasses, who had to opportunity to perform men glasses styling to the guests. Talk about having a guys night out! We all know the struggle is real for those who wear glasses every day and all day! We’ve gathered up some of them which we go through. So don’t you worry sister, we know how it feels! 1. Always having to clean your glasses. If there’s no cleaning cloth, your t-shirt works well too. 2. Having to readjust your glasses ALL. THE. TIME. 3. Walking in the rain without getting a drop or a ton on your glasses. 4. When people ask “How blind are you?” and then try on your glasses. 5. People telling you you’re hipster just cause you wear glasses. 6. Looking for your glasses in the middle of the night for a toilet break without turning the lights on. 7. For the girls, trying to figure out if you used the shampoo or conditioner first in the shower. 8. Drinking a hot cuppa without getting your glasses fogged up. 9. When people say, “You’re so pretty/ cute without your glasses on!” Your point is? Pott Glasses New Store Alert! Loyal followers of Pott Glasses rejoice! We are looking to open the doors to our new store on the 16th of October, Sunday. Located in the heart of Petaling Jaya, Ss2, the new space emphasizes on a shopping experience like no other. The cozy space that covers over 2500 square feet is surrounded with a contemporary and an artistic interior. Designed to make you feel as if you were in the comfort of your own home, it features luxe materials such as pine wood finishes and sleek textured cabinets showcasing the latest sunglasses and eyewear pieces. Including a coffee machine and a photo wall for customers to enjoy with their newly purchases eyewear.